﻿Tree removal and all aspects of tree surgery in Birmingham. ​Call now for a FREE quote. Birmingham Tree Surgeons "RB Tree Care"
Birmingham Tree Surgeons are a professional outfit based in Birmingham, West Midlands. ​We cover all aspects of tree surgery from tree felling, tree removal, tree logging, stump removal, stump grinding, site clearance, tree shaping, tree reduction and a 24 hour emergency call out service in times of desperate need. Our reputation has been built on our ethical work practices and constant commitment to providing our clients with a faultless service. Our repeat customers is a testimony in itself, you can read our testimonials by clicking "here". Birmingham Tree Surgeons are a professional outfit based Birmingham, West Midlands. ​Our staff are experts in all aspects of tree surgery related works. We specialise in keeping the appearance of your exterior landscape prim and proper. Using our expertise and experience, Birmingham Tree Surgeons are the most experienced company to visit when you're searching for reliable solutions that enhance the good things about your landscape. Birmingham Tree Surgeons come fully equipped with specialist safety gear to handle all kinds of situations while maintaining landscapes within an effective manner. Tree removal and all aspects of tree surgery in Birmingham. Gaz and the team removed a big tree in Birmingham, here they are cutting it into smaller loads so that it's easier to handle. Do you have trees that have thick leaves, grown boughs and others that need Birmingham tree services? Once you first hear the phrase you will think that you don’t need that, but it is a must because it is one way of creating a healthy and comfortable daily living. Once you realize how salient it is, do not shillyshally to call us. Tree stump removal cost is very affordable or reasonable. We ask the cheapest payment so you don’t have something to worry about. Aside from the low cost, we can ensure you that our service has extraordinary quality. Your money’s worth will be me more than that. Crown lifting- Our Birmingham tree surgeons will remove the lower branch of a tree so that it will start higher. We do crown lifting to allow room for people and to let the light pass through the tree. Usually we crown lift to 2.5 m over a public footpath and when it comes to public road it is about 5.2 meters. Dead wooding- Our tree surgeon or arborist will remove the dead wood from the tree canopy. The dead wood is being reduced not wholly removed and this process is environmentally friendly because we are also nature lovers by heart. Crown Thinning- Our workers evenly remove some of the branches of the tree so that the wind and light will pass through. Reducing- Our tree surgeon reduce the height of the tree because it appeals great. Can you imagine your residential premises having very tall trees? It looks like a haunted one. So you need Birmingham Tree Surgeon. Pollarding- All of the branches are being removed to achieve a smaller tree canopy. Pollarding should be done on a regular basis in order for you to attain that goal. However, you cannot do it by yourself, you need us, Birmingham Arborist. Removing of the tree- This is one of the steps that is tough. You need people like us and the latest machines that we have. Stump Grinding- If the tree serves as the cause of simple injuries, it’s a better idea to let us do stump grinding. In this process, our arborist use machine that will grind the stump out so that there will be no parts of the trees left. Our trees surgeon have the knowledge and skill. They should have be in the industry for a minimum of three years and a maximum of four years. They also have to pass the standard test and continue further education. Dedication. We all know that doing a job successfully requires a strong passion. So we make sure that our workers are dedicated enough in this kind of job. And lastly, they have good interpersonal skills. They can be able to socialize with other people and determine what the customers fully need. Birmingham tree services can provide a lot of things at a low cost and with a high skilled tree surgeon. And this is what service really means. You will find several points to consider if you have trees that may need tree surgery. A home owner could have a single tree or numerous trees that may need removal due to disease or being to close to one another. Our expert tree surgeons have the ability to balance the removal of trees, branches and stumps. Well maintained and top of the range equipment is guaranteed when you hire a professional tree surgery outfit like ourselves Birmingham Tree Surgeons. Our equipment includes a stump grinder for stump removal, a state of the art wood chipper, a 4X4 tractor for clearing and moving debris, a log truck with cable for moving large logs, and cranes or bucket trucks for lifting and dealing with branches which are hanging over houses. Without the correct equipment, it can be hard to accomplish certain facets of this kind of operation, with respect to the conditions. You will find that a selection of people will use their own tree removal methods, yet others will use a professional tree removal company, especially if they are aiming for a desired look. Other activities to search for is employing a completely trained and licensed Arborist, a business which has the correct liability and worker insurance along with a company that leaves no mess in your yard, once the job is finished. Birmingham Tree Surgeons public liability covers us up to 10 million pounds worth of damage. It is important to use experts that know the specifics of controlling tree hazards because trees which are handled through proper pruning will rarely fail. Birmingham Tree Suregons have the ability to offer suggestions about pruning grown mature trees, but small garden trees and hedges may need attention, too. Since a licensed Arborist is going to be among the best candidate to do or oversee tree management this will ensure the kind of trees and the kind of care they require. Our experienced team of specialists have a keen eye for spotting tree illnesses and can provide knowledgeable surveys. All of our staff have received the required training to carry out work of this sought and are fully qualified with City & Guilds accreditation. Our tree surgeons fully meet the requirements of our trade as tree surgeons. Our practical qualifications allow us to work safely at height, climbing trees and utilising a chainsaw. This differentiates the function from those of an arborist, whose specialty is based on comprehending the bio-mechanics of trees, decay and disease, and just how they respond to cutting. Nevertheless the task of manipulation, of trimming and cutting up branches as well as eliminating disease and decay, isn't the just one that's entrusted towards the tree surgeon. It's overlooked that removing stumps is the best means - usually although not always by grinding this comes included with the job when there's no alternative, the felling and eventually the logging of the tree. A tree surgeons main job is the felling of trees and the maintenance of overgrown ones. Birmingham Tree Surgeons offer a complete tree maintenance service. Employing a tree surgeon means making certain the trees inside your garden are trimmed or cut in a manner that's safe and effective. 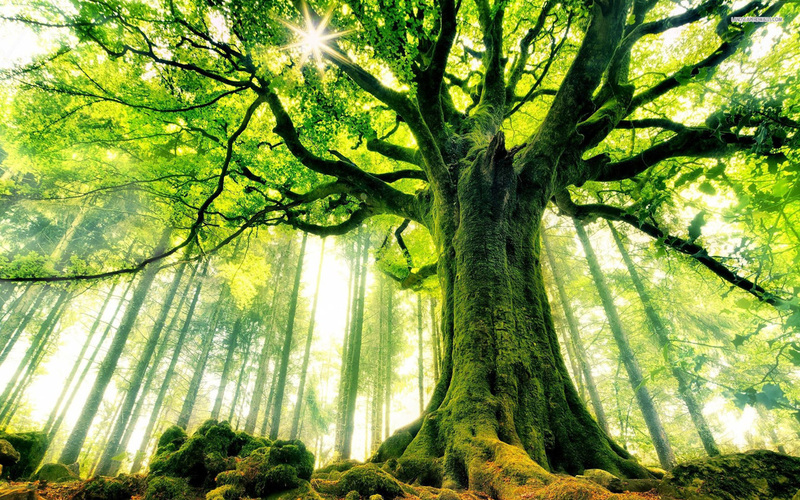 Trees play an important role within the ecosystem. They produce oxygen, they add beauty towards the surroundings and in addition they function as adornments on your lawn. There's a necessity to keep the trees on your lawn, hence why you need to hire tree surgeons. This can be a technique frequently used just in case of trees which are infected. Through pruning, the tree surgeons will find out the areas that may be cut without the chance of doing harm to the tree. This helps you to control the decay and in addition will minimise the specter of the harm distributing to other areas of the plantation. In some instances, pruning results in as an inexpensive option and helps you save the responsibility on investing for getting rid of the whole tree. Our team of experienced professionals can take on any size of tree that needs removing right down to the very ground. This service includes the the use of our stump grinder and all of the waste that has accumulated will be ground up into wood chippings using our work safe wood chipper. Birmingham Tree Surgeons recommend that large trees are maintained on a yearly basis. Overgrown trees are unattractive and most of all dangerous in high winds. We pay close attention to detail when we shape any tree or hedge for our clients. Tree stumps are a major hazard when left exposed slightly from the ground. Birmingham Tree Surgeons are equipped with state of the art mobile machinery that can grind tree stumps to nothing. Stump grinders are the perfect tool for the task as they can reach tricky locations. Birmingham Tree Surgeons are able reduce any tree to a more useful size, whatever the requirements we can guarantee that we can carry out all aspects of tree reduction in a safe manor. ​With the help of certified arborists, the preservation of our natural environment is well focused on while delivering cost efficient solutions to encourage maintenance services to trees and other plants that make up the ecosystem. The insured and licensed tree surgeons make phone calls in order to meet the current requirements of trees, landscape, lawn, and shrubs. They offer services that include tree diseases protection, lawn restoration and renovation as well as other tree care service necessary to fulfill the preservation of such living things. Tree removal and tree surgery is actually important in maintaining the beauty of our natural environment. The expertise and passion of arborists in fact support the goals of ecological conservation across countries. ​By consulting a qualified tree care service provider in your local area, you are helping the world become a better place especially for the future generations to come. With the global warming concerns experienced in many parts of the globe, it’s really important to promote environmental advocacies. Through holistic plant care methods, more and more trees will have longer life and healthier conditions. When choosing your local plant care provider, be sure to get TCIA-accredited Company to ensure quality solutions. Did you know that many of the tree species today are struggling with certain challenges because they aren’t well taken care of? People need to open their mind in the current needs of these plants and prevent them from deteriorating. The natural environment is getting worse in many parts of the world and it is humanity that needs a wake up call. Many companies are now offering tree maintenance and tree care services to guarantee quality outcomes. In order to ensure lasting life and beauty of the trees, an expert, full-service tree surgery provider will greatly help and even provide greater savings to customers. ​You can get pruning, fertilizing, and trimming services for your shrubs and trees within your property at reasonable rates. For more beautiful landscape, you can also take advantage of restoration as well as renovation services. Let your plants and trees show ultimate vitality with the proper tree care services available in your local area. As a matter of fact, trees which are properly cared and maintained uphold pleasing appearance and healthy growth. You can check out some website to see how they work when it comes to tree preservation through natural methods. Make sure to work with qualified arborists in order to guarantee quality results after the tree surgery. Make your garden the best asset of your property. Have it maintained by professional tree surgeons to effectively achieve ultimate tree care. With experienced and knowledgeable tree care provider, it will be easier to maintain the landscape view and plants within the garden. ​So what are you waiting for? Be sure to hire certified arborists today and make your property more beautiful with holistic tree surgery approach. There are lots of ways to help create a healthier environment if only you knew how to make use of these eco-friendly services around you. © COPYRIGHT 2016 | BIRMINGHAM TREE SURGEONS | ALL RIGHTS RESERVED. Birmingham Tree Surgeons Birmingham Tree Surgeons are a team of experienced individuals that excel in providing high quality tree services and tree removal.